10 Free or Cheap Tools to Make Your e-Learning Courses Amazing! Gathering, creating, sharing e-Learning content, and staying current with the latest tools is difficult when you’re busy focusing on your day job. And what if management and learner expectations are high, but your budget isn’t? 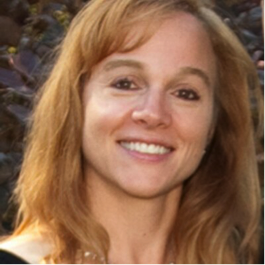 In this session, award winning instructional designer, Jackie Zahn, will share her experience and tools in e-Learning. She will illustrate fun and inexpensive tools that you can use to make your e-Learning courses rock! She’ll provide real-world examples and practical ideas about how to effectively apply these tools to enhance learner retention and overall team communication. You may also have an opportunity to try out some of the free or very low-cost tools. Jackie Zahn is the Director of e-Learning for "I Want to e-Learn." She is an award-winning instructional designer, trainer, and author of How AF2F Communication Can Improve Business Relationships. Jackie holds a B.A. in Organizational Management from Concordia University and an ASTD certificate in instructional design. As a member of ATD and ATDChi, she also draws from her former advertising background to merge industry best practices with the training she develops.